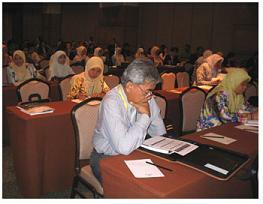 The position and office of Deputy Vice Chancellor (Industry and Community Development Network) was established in 2007. The office seeks to enhance and coordinate engaging with Industry and Community in order to improve the quality of teaching and learning, research and development. One of UPM’s 10 stated goals is to "broaden and strengthen UPM’s engagement with industry and society."